Update to the 250% CXP Event. #2 Update to the 250% CXP Event. #3 Update to the 250% CXP Event. What's going to happen with CG when 5.2 hits? #2 This application has encountered an unspecified error. Please try this patch again. #3 This application has encountered an unspecified error. Please try this patch again. How can I get a Dev's attention to stop the cheating on Zakuul??? Missing GC Superior Boost with patch 5.1.2? When is the best time to open the crates? #2 Missing GC Superior Boost with patch 5.1.2? #3 Missing GC Superior Boost with patch 5.1.2? Why did you nerf Fractured Uprising CxP? #4 Missing GC Superior Boost with patch 5.1.2? #2 Why did you nerf Fractured Uprising CxP? So What Happened Saturday Night! #3 Why did you nerf Fractured Uprising CxP? #4 Why did you nerf Fractured Uprising CxP? #5 Why did you nerf Fractured Uprising CxP? #6 Why did you nerf Fractured Uprising CxP? #7 Why did you nerf Fractured Uprising CxP? #2 Please stop protecting cheaters/botters. What mosue do you guys use? Error in 5.1.3 Patch Notes? No producer live streams in almost 2 months? #2 Orlando cantina start time??? #3 Orlando cantina start time??? Game Update 5.2 Maintenance time? Anyone else not recieving Companions? Anyone else having connectivity problems atm? #2 Anyone else having connectivity problems atm? #2 Anyone else not recieving Companions? Character transfer do not work anymore! #2 Character transfer do not work anymore! #3 Character transfer do not work anymore! #4 Character transfer do not work anymore! #5 Character transfer do not work anymore! Att BW - Harbinger - items vanishing from CXP boxes, GTN, Invents, Cartel martket. #3 Att BW - Harbinger - items vanishing from CXP boxes, GTN, Invents, Cartel martket. #4 Att BW - Harbinger - items vanishing from CXP boxes, GTN, Invents, Cartel martket. #8 Att BW - Harbinger - items vanishing from CXP boxes, GTN, Invents, Cartel martket. Why aren't Weapons a Part of Outfit Designer? Devs! What are you doing to address the decoration problem??? #2 Devs! What are you doing to address the decoration problem??? So When and How are we getting the Roadmap? Please can we get an official Conquest week schedule? #2 Please can we get an official Conquest week schedule? #3 Please can we get an official Conquest week schedule? #2 could we please get a straight answer? Is it wrong that, revisiting SoR, made me think what the hell went wrong w KotFE? #3 Is it wrong that, revisiting SoR, made me think what the hell went wrong w KotFE? #4 Is it wrong that, revisiting SoR, made me think what the hell went wrong w KotFE? Will there be a developer live stream about July 11 patch? #2 Will there be a developer live stream about July 11 patch? #4 Will there be a developer live stream about July 11 patch? Will Bioware be at Boston Comicon in August? Items Missing from Deepwater Essentials Bundle? So when will BW Start giving us Info On 5.4? #2 So when will BW Start giving us Info On 5.4? "Launcher is being updated. Please wait"
#3 "Launcher is being updated. Please wait"
#4 "Launcher is being updated. Please wait"
#5 "Launcher is being updated. Please wait"
#6 "Launcher is being updated. Please wait"
#7 "Launcher is being updated. Please wait"
#9 "Launcher is being updated. Please wait"
#10 "Launcher is being updated. Please wait"
Server Que on the Ebon Hawk. Again. #2 Server Que on the Ebon Hawk. Again. #2 Ptach Where are thy Notes? #4 Ptach Where are thy Notes? Is This A Joke? A Bug? Intentional? **SERIOUS** CAPTCHA bug preventing new players from signing up! CAPTCHA bug preventing new players from signing up! #2 CAPTCHA bug preventing new players from signing up! #2 Any update in the Roadmap? What about 5.5? #2 SWTOR Roadmap - The Autumn Update! #3 SWTOR Roadmap - The Autumn Update! #4 SWTOR Roadmap - The Autumn Update! Are you going to combine the server forums, lock them or delete them? Double XP, CXP and Warzone Lasts For An Entire Month? CXP Global 25/50/75/100 perk broken? Am I supposed to have two of every stronghold? Is Darth Hexid Account Wide? Still no ETA on Server Transfers? Previously earned UCs value to be cut in half? Intended? Not everything in Collections is 50% off. Some is still full price ... ? #2 Intended? Not everything in Collections is 50% off. Some is still full price ... ? #3 Still no ETA on Server Transfers? #4 Still no ETA on Server Transfers? #2 No Rakghouls this week? "Daily" Areas Now Grant A Weekly Mission And Lose The Area Completion Daily. Why? So Bioware, you just going to pretend it didn't happen? What is being done about the exploiters who made billions? Has there been an official statement RE: Master's Datacron re-usage? Yavin Ruins warzone achievements resetting to zero. How do you NOT know/acknowledge gsf queue broken on Satele Shan?! Has Eric and the team kicked the bucket? Question for Eric: Why are patch times still listed in West Coast? Doing an Balmorra H2 grants me Ilum conquest goals as "finished"
#2 Doing an Balmorra H2 grants me Ilum conquest goals as "finished"
Musco, CXP drop rate changed in 5.8? Be careful, duplicate CM items during sale at different pricings. Onetime passwords not coming through? Thanks for Theron Shan. <3 <3 <3 This is a love thread, haters make your own lol. Surprise Server maintenance, what could it be? #3 2x XP & CXP does not work. #4 2x XP & CXP does not work. End of June - no new content? #2 End of June - no new content? Could we see a preview of the Rishi stronghold? #2 Could we see a preview of the Rishi stronghold? #3 Could we see a preview of the Rishi stronghold? IMPORTANT: Do NOT use Outlander, Start at level 60/65 Tokens on PTS! Could We See A "State of the Galaxy" Article? Daily galactic command bonus removed? #2 Daily galactic command bonus removed? new CONQUEST bug/exploit ? or working-as-intended ? Chance Cube remved from Intro to Conquests mission? Matchmaker, matchmaker, make me a.... 12? When was the cantina crawl achievement & Paxton Rall companion going to be released? How To Get Geared Up and into Gods from the Machine on PTS! Augments and kits vendor hidden requirement? When is PTS coming back online? #2 What is the studio plans for adjusting Bolster in 5.10?? #2 Current game version does not match the server's. #3 Current game version does not match the server's. Bugged 100% HM FP Achievement - 87% Done? #4 Current game version does not match the server's. #5 What's this about 500 CC for subbing by July 7th? #4 What's this about 500 CC for subbing by July 7th? #3 What's this about 500 CC for subbing by July 7th? #2 What's this about 500 CC for subbing by July 7th? What's this about 500 CC for subbing by July 7th? #2 Is this lack of communication normal? Is this lack of communication normal? The Star Wars: The Old Republic Community Cantina Tour Arrives in New York! #3 Is this lack of communication normal? #4 Is this lack of communication normal? #2 Battle Meditation is Offline for hours now. Battle Meditation is Offline for hours now. Hackers on the rise "again"
Are we ever go back to empire vs republic story? Are we ever going to get colour crystals above rating 136? #3 Bugged 100% HM FP Achievement - 87% Done? #2 Bugged 100% HM FP Achievement - 87% Done? If you still haven't received email with cartel coins code, please post here. #2 Dread Fortress SM Reaches, Hands, Brontes are broke. Ref links in signatures - yay or nay? Dread Fortress SM Reaches, Hands, Brontes are broke. #2 If you still haven't received email with cartel coins code, please post here. Chapter 10 unplayable on Tomb of Freedon Nadd. #2 Chapter 10 unplayable on Tomb of Freedon Nadd. #4 Nico no longer able for crew missions? Personal Warbot (and other cartel market companions) - Bugged! #3 Nico no longer able for crew missions? Community Cantina Tour 2016 - any plans yet? #3 If you still haven't received email with cartel coins code, please post here. #2 Nico no longer able for crew missions? Nico no longer able for crew missions? #2 Ops in 5.1 - Will unassembled pieces drop from every boss, or just the last boss? Ops in 5.1 - Will unassembled pieces drop from every boss, or just the last boss? Season 7 Top 3 Titles ? #2 Harbinger Has a Queue!!!!! Changing requirements on already earned items? That needs to be addressed. Another server rollback on Harbinger??!!!!! #2 Another server rollback on Harbinger??!!!!! #3 Wasn't we supposed to get credits for old currency? Are Credit Spammers ever going to be dealt with? SWTOR Forums Bugged Right Now? #2 SWTOR Forums Bugged Right Now? Quality of gear in crates are the problem, not quantity. So when can we actually purchase the legacy CXP boosts? Bioware, tonight's stream is your last chance. Sooo when are discounted server transfers ending (or will they be up indefinitely)? Wz passes removed from the cm??? Imperial Intelligence suddenly collectively decided to pick up sword fighting? NYC Cantina Discussion - Official Response? How do sub players pre order the new expasion? FULL Knights of the Eternal Throne cinematic is HERE!!! #2 Wasn't we supposed to get credits for old currency? Chapter Tells Subscribers They Need to Sub first?!? Wasn't we supposed to get credits for old currency? Andronikos Revel Cannot dual wield blasters any longer? #2 Companion gear did not return !!! Left story at beginning of Chapter 4, now clicking play won't let back in. #2 cant make a level 60? Companion gear did not return !!! cant make a level 60? Welcome to Star Wars: The Old Republic - Knights of the Fallen Empire Early Access! #2 Will our past decisions not matter in KoTFE ?? Will our past decisions not matter in KoTFE ?? #3 Any ETA on the new information about KotFE? #2 Any ETA on the new information about KotFE? #3 No Top 10 rewards for last conquest event. Any ETA on the new information about KotFE? SWTOR Answers HQ now live! New launcher didn't show download progress! #3 Cartel Market Changes Coming in Fallen Empire! START HERE: SWTOR Answers HQ now live! Got to ask - Why the lack of crafting news for 4.0? #2 WTB Musco! Rest of promised BLOGS??? WTB Musco! Rest of promised BLOGS??? #2 Cartel Market Changes Coming in Fallen Empire! will we get to keep the expertise crystal schematics that we already have? #3 No Conquest title again? #2 No Conquest title again? These 4 threads all ask the same questions,can we get answers? Dear TaitWatson: The Companion Romance System NEEDS to be fixed. #2 i get kicked out of the game to be place in que ? #2 West Coast Server Issue? Is it really this bad for Community, Devs, Communication......Nothing?? i get kicked out of the game to be place in que ? #3 Harbinger just got rolled back quite a bit. #2 Harbinger just got rolled back quite a bit. Dromund Kaas/Coruscant Strongholds 4 Credits for 4rth Anniversary? Or not? Creature Companion Nexu Unable to unlock. Harbinger just got rolled back quite a bit. Can we get awarded commendations in Ranked again please? Predacious Season 6 Has Begun! No Nexu mount in mail and still saying it's ranked season 5 in game. #2 Predacious Season 6 Has Begun! 100% increase in wz comms and credits??? Will There Be An Announcement or Blog About What Will Happen With Companion Crews? No Top 10 rewards for last conquest event. #2 No Top 10 rewards for last conquest event. [Bug] GSF is broken again: weapons are deselected on many ships. #3 The Star Wars: The Old Republic Community Cantina Tour Arrives in Cologne, Germany! #2 The Star Wars: The Old Republic Community Cantina Tour Arrives in San Diego, California! #3 The Star Wars: The Old Republic Community Cantina Tour Arrives in San Diego, California! The Star Wars: The Old Republic Community Cantina Tour Arrives in Cologne, Germany! #2 The Star Wars: The Old Republic Community Cantina Tour Arrives in Cologne, Germany! #4 The Star Wars: The Old Republic Community Cantina Tour Arrives in San Diego, California! KotFE: Why not weekly updates to the players? #5 The Star Wars: The Old Republic Community Cantina Tour Arrives in San Diego, California! Congratulations to swtor_potato, /r/swtor contributor of the year! TORCommunity is Looking for Translators! 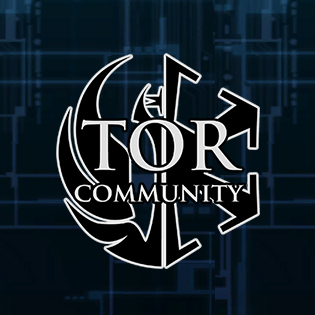 The TORCommunity Team is Expanding! TOR Databases + Site Framework Kickstarter Ends April 22nd! Closed PTS Applications Now Open! TRE 1v1 Tournament 14th Jan: URC #9 - THRILL OF THE HUNT! "The Furious" Title to be changed to "Fairly Furious"
Over 57 Million Characters Created in Star Wars: The Old Republic! Announcing Star Wars™: The Old Republic™ "Build Your Alliance" NVIDIA Contest Winners! 250% Bonus XP + Command XP Events Are Here! The War for Iokath: Now Live! The Star Wars: The Old Republic Community Cantina is Headed to New York! Knights of the Fallen Empire at TwitchCon! Join developers on August 26th for a Twitch livestream of Knights of the Fallen Empire! Enter the SWTOR "Build Your Alliance" Contest sponsored by NVIDIA! Knights of the Fallen Empire Launch Trailer - "Face Your Destiny"
The Star Wars: The Old Republic Community Cantina Tour Arrives in San Diego, California! Summon Random Mounts and Pets in KOTFE! Kephess Cast Episode 5 - "Spill the KOFE Beans"
Regstar: GG = Grouping and Gear!